The Federal Housing Administration, or FHA, requires licensed appraisers to both value and inspect homes in order to price and identify immediate concerns with the house. The appraiser compiles a list of necessary repairs to bring the house up to FHA's minimum property standards. FHA appraisal does not replace a home inspection. The FHA appraisal is a quick inspection of the house, whereas a home inspection from a reputable home inspector would be a more thorough evaluation of the property and likely address immediate and future concerns that may need to be corrected. What are FHA's minimum property standards? According to Housing and Urban Development (HUD), the FHA's insuring body, the appraiser must disclose any deficiencies of the property on the appraisal report. The minimum standards for FHA include health, safety, and soundness concerns (not cosmetic repairs). The appraiser is to list any necessary repairs to bring the property up to the minimum standards with the costs associated with the repairs for an FHA loan. The lender is responsible for determining which repairs must be made to the property to be eligible for FHA financing. Protect the security of the property. Correct physical deficiencies affecting the structural integrity of the dwelling. All repairs must be completed and reinspected prior to the property being eligible for FHA insurance. Where are deficiencies often found? FHA guidelines require that a property be rejected if it is subject to hazards, environmental contaminants, noxious odors, offensive sights or excessive noises to the point of affecting the marketability, livability, or the health and safety of its occupants. Any evidence of dampness or foundation instability must be listed in the foundation section and the improvement section under physical deficiencies or adverse conditions of the report. The appraiser must also describe the defect, recommend the repair, and estimated the cost of the repairs. The roofing material type and condition must be listed in the improvement section. Any deficiencies affecting livability or structural soundness must be listed. The appraiser is to check mechanical, plumbing, and electrical systems. The condition of the mechanical systems and recent improvements are to be listed. Any mechanical deficiencies affecting the livability or structural soundness must be noted as well. The appraiser may require repairs or an inspection by a licensed professional. The appraiser is required to examine the electrical system to ensure there are no exposed wires in living areas. The appraiser must also confirm the amperage of the dwelling is adequate to operate the number of lighting fixtures, receptacles, and appliances in the house. The appraiser is required to flush toilets and turn on a reasonable number of faucets (hot and cold) in the house to verify that the plumbing system is working adequately. Also, the appraiser must confirm there are no observable leaks or structural damage. If there is a septic system it must be checked to verify it is working adequately. The appraiser should also address all health and safety issues, including physical deficiencies or adverse conditions that affect the livability, soundness, or structural integrity of the dwelling. Any dwelling built prior to 1978 with evidence of defective paint surfaces, including: peeling, scaling or chipping paint must be repaired and re-inspected by a licensed appraiser prior to the mortgage being insured by FHA. Inoperative or inadequate plumbing, heating or electrical systems. Cracked masonry or foundation damage. How does the FHA appraiser figure property value? The appraiser is instructed to use the “bracketing method” which is the process by where the appraiser determines a range of values for a property by using comparative analysis from comparative sales. Adjustments are to be made to superior as well as inferior sales to determine the probable range of value of the subject property. If the “bracketing method” is not possible, the appraiser needs to explain why this method cannot be used. If properties are located in a subdivision, condominium, or planned unit development that had resale activity, comparable sales should be used from within the subdivision or development. In rural areas, there may be a shortage (or absence) of recent comparable sales in the area. In this circumstance the appraiser must explain the reasoning for going outside of the normal range and/or normal age of comparable sales. Acceptable comparable sales must be closed sales and no older than six months old. 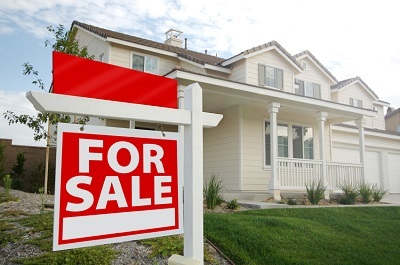 Comparable sales over six months old may be used if the appraiser provides an explanation. Comparable sales closed over one year ago or properties under contract can only be used as additional comparables to the first three comparable sales that meet the standard guidelines. According to HUD guidelines, FHA, VA, Conventional, or cash sales are acceptable as comparable sales. Per HUD, FHA appraisals do not guarantee that a dwelling is free from defects. The appraisal establishes the value of the property for mortgage insurance purposes only. It is highly suggested that buyers hire a licensed home inspector to verify the condition of the dwelling. An FHA loan has easier qualification standards than conventional loans, but the minimum property standard requirements eliminate many properties. FHA buyers who are aware of the minimum property standards will avoid potential heartbreak if the property is rejected.